This one is mixed bag. I was looking forward to this as I’ve loved this band since they first came out in 1980. There are only 3 new songs, the title track, which is not too bad but I’m not so keen about the claustrophobic production on it, and 2 other new songs which are great … classic Loverboy …. “No Tomorrow” and “Heartbreaker”. They sound perfect for this band, and will get many repeated listens. The rest of the album is new studio versions of their classic rock songs. A lot of groups seem to be doing this now, re-recording their hits … trying to cash in on broadcasting royalties, where they want companies to use the new versions so the band gets the royalties instead of their old record company. 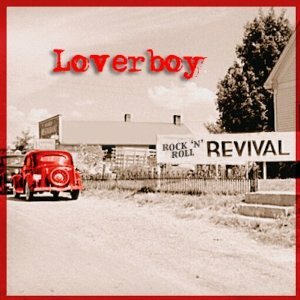 On these particular re-recordings, Loverboy has basically gone into the studio and played how they do the songs live. They sound really good … lots of energy, but they seriously need to help Mike Reno out. His voice is not what it was (is anyone’s these days?). He sounds very strained and has a hard time hitting notes, sometimes not even coming close. The band should think of changing song keys or detuning to help him out. There is no Loverboy without Mike Reno, so why would you continue to do something that makes him sound bad? I’m a fan of Mike’s voice, even the older Mike, but he just sounds tired and is straining too much in parts of these classic songs. Otherwise the new versions sound really good, especially “Hot Girls In Love” which has a three minute bass and drums jam at the end which is amazing … really puts a smile on my face. Pure fun.